SUMA is used as an adaptogen to help the body adapt to stress by improving the immune system. Suma is also used as a treatment for cancer and tumors, diabetes, and male sexual performance problems; as a tonic to restore body function; and as an aphrodisiac to heighten sexual arousal. In Portuguese, Suma Root is called “para tudo” which means “for everything”. The name is likely in reference to use it being used to improve various ailments including fatigue, anxiety, erectile malaise, and stress. Suma is very nutritionally rich. It contains antioxidants, amino acids, vitamins A, B, E, and K, minerals, and electrolytes. The electrolytes and B vitamins provide its energizing effect. Suma root is sometimes called “Brazilian ginseng.” A slightly misleading name though, as suma is not actually part of the ginseng plant family, it just has similar, energizing qualities. Suma also contains germanium, which boosts the immune system. Perhaps most interesting is that suma root contains two anabolic agents, allantoin and ecdysterone, that have been linked to muscle growth support and enhanced endurance. 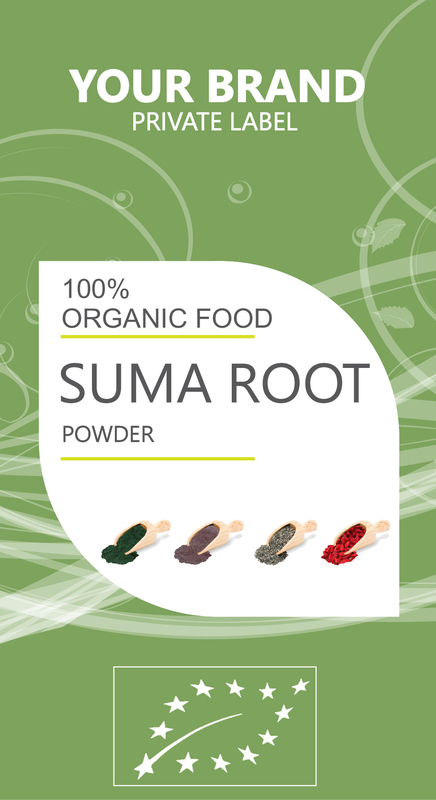 Suma root contains ecdysterone which helps to support healthy hormone levels in men. When hormone levels are in check, the body is able to repair itself and grow more quickly.